Your gateway to the drug discovery industry. 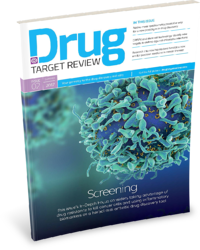 Brian Hampson and David Smith of PCT offer an in-depth focus on Stem Cells in the Summer 2017 issue of Drug Target Review. Beginning with an introduction to the 'unit operation approach' for the cell therapy industry, Brian Hampson and David Smith discuss how a Development by Design (DbD) methodology is the key to successful manufacturing. To learn more about creating a manufacturing process with Development by Design, fill out the form below.